Art galleries can teach us much about their culture, it's history and people. 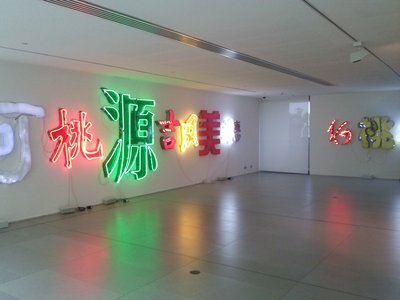 Chinese art galleries are scattered around Sydney, hidden from plain sight but full of cultural treasures. Which Chinese art gallery in Sydney has shone more than it's fellow gems? Brilliant question Kat :) There are some beautiful art pieces at the Art Gallery of New South Wales. My favourite would be the White Rabbit gallery in Chippendale. Can't put my finger around as to why...the art is just stunning. Certainly the White Rabbit Gallery! My boyfriend and I visited this gallery last year for an assignment I had. The Serve the People exhibition curated by Edmund Capon was showing at this time. Entry is free and the works are all so incredible - a mixture of sculptures, paintings, photography works, art installations and even audio and video tracks and the concepts behind each of the works was always intriguing. My favourite is also the White Rabbit Gallery. The photo above is from the Smash Palace exhibition they had from March to July last year. The staff are very enthusiastic and eager to help, and the gallery itself is just beautiful, especially at the entrance. 4A in Haymarket is also very good.